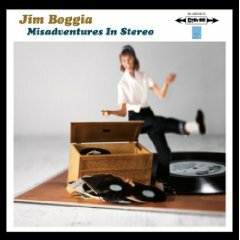 Misadventures In Stereo, the third album by widely lauded singer/songwriter/multi-instrumentalist Jim Boggia, is unmistakably the work of a true believer and pop craftsman who´s closely acquainted with music´s capacity for transcendent uplift. His songs get the balance right between devastating beauty and sadness, and the big fat joke that is life. Born blind in one eye and with limited vision in the other, Boggia grew up an only child with an acutely developed ear for music. His early fascination for such iconoclastic pop classics as the Kinks´ Village Green Preservation Society, Nilsson Sings Newman and Stevie Wonder´s Innervisons helped to inform an aesthetic sensibility that would push him to create album-length listening “experiences” on his own releases. Boggia has gained impressive career momentum in a short amount of time. Blackberry selected one of his tracks for a new ad campaign and his songs have also been featured on MTV´s Real World and ABC-TV´s Men In Trees. 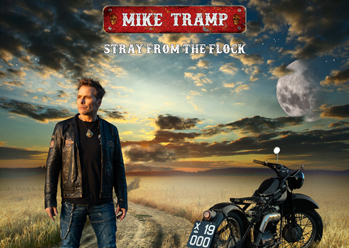 He´s developed a loyal grass-roots fan base for his dynamic, improvisational live shows. His work has been embraced by numerous fellow artists and kindred spirits, many of who have lent their talents to Boggia´s albums. 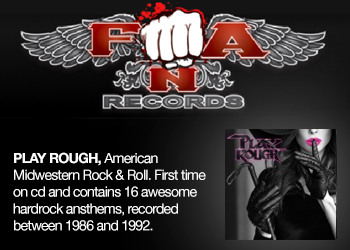 His sophomore release, Safe In Sound (2005, bluhammock music), featured key contributions from such notable admirers as Aimee Mann, Jill Sobule, MC5 guitar hero Wayne Kramer, Attractions drummer Pete Thomas and legendary ´70s cult-pop icon Emitt Rhodes. 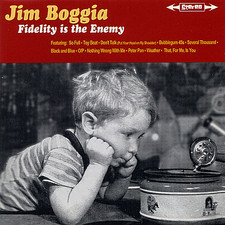 Boggia´s first two releases, 2002´s Fidelity Is the Enemy and 2005´s Safe In Sound, established him as a critical favorite. Harp magazine described his songs as "captivating," adding that he "delivers the sort of intelligent, melodic pop music that ought to be a staple of radio playlists." 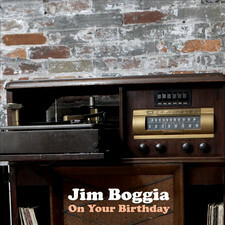 Paste called Boggia a "first-rate audio architect" and praised his use of "lush instrumental flourishes, intriguing sound bites and naturalistic found sounds." The Washington Post made note of his "soulful voice, experimental instrumentation and an encyclopedic knowledge of pop music." The qualities that have endeared Boggia to fans, critics and his fellow musicians are abundant throughout Misadventures In Stereo (which, appropriately, was mastered at London´s fabled Abbey Road studios where the Beatles recorded virtually all of their ´60s classics). His knack for merging melodic bliss and bittersweet, richly detailed lyrical substance is prominent on such tracks as the ironically jaunty-sounding "Johnnie´s Going Down," the pensive "No Way Out" and the dreamily melancholy "So." Another standout is the baroque-pop underdog anthem "Chalk One Up for Albert´s Side," which Boggia co-wrote with Tony Asher, legendary lyricist of the Beach Boys´ landmark Pet Sounds. Particularly affecting is the haunting album-closer "Three Weeks Shy," about a soldier killed three weeks before completing his tour of duty. Boggia’s deep and abiding affection for classic pop is apparent on "Listening to NRBQ," a poignant reminiscence of a love affair strengthened by a mutual love for music. 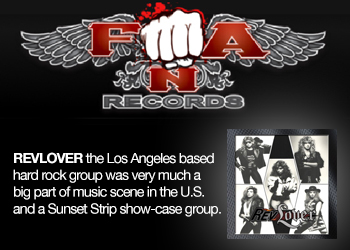 The song also doubles as a tribute to the title band, whose beloved guitarist Big Al Anderson plays guitar on the track. "8Track" and "It´s Your Birthday" (the latter co-written with David Poe) further examine the role that music plays in our lives and loves. Misadventures may be Boggia’s darkest album to date, but it still sparkles with the melodic wit, inspired arrangements and perfectly crafted songs Boggia is renowned for. Recorded mostly live to analog tape, it’s a warm, organic album that pays tribute to the recording process. "Nine of the ten songs on ´Misadventures in Stereo´ deal with some type of loss: loss of a loved one, loss of control, loss of love, loss of power, the list goes on." Boggia says. "Writing and recording these songs gave me an outlet for processing those things, but also provided moments of hope and perseverance as well." 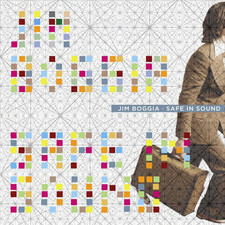 While Safe In Sound experimented with all manner of left-field sonic frills and exotic vintage gear, Misadventures In Stereo finds Boggia taking a more basic, stripped-down approach. Recording live to analog tape, he and his band blew through the material until they had what they felt were the right takes. "I went for the qualities that I loved about my favorite ´60s and ´70s records," Boggia states. "They weren´t perfect, but they were all about the feel of the performances. Whether it moved you was much more important than if that note was a tiny bit flat or that snare hit didn´t line up exactly on the beat." Record collectors will be happy to know that Misadventures will also be issued on vinyl . . . in MONO, no less. With Misadventures, Boggia shows a career artist at the peak of his creative power, a self-proclaimed “music geek” for whom making music is as effortless as breathing. 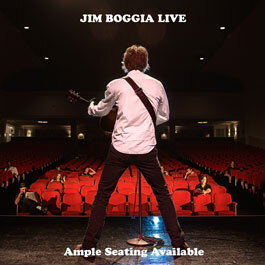 In a perfect world, everyone will be hearing more about Jim Boggia.